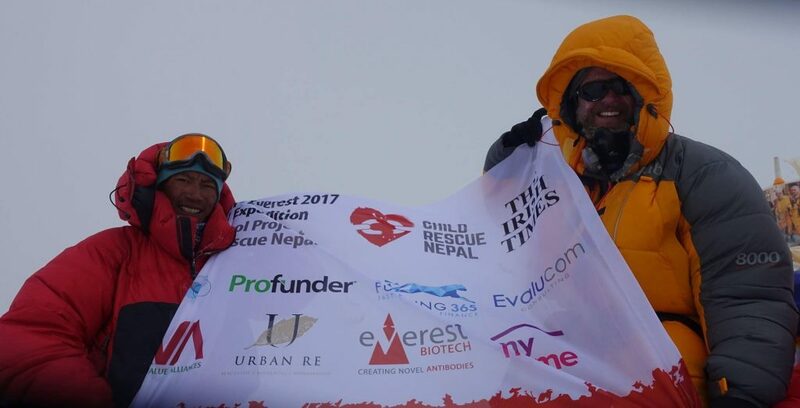 LeBruin extends our congratulations to our Profunder colleague Rory McHugh who has reached the summit of Mount Everest, having completed an expedition in aid of Rory’s Nepal School Project and Child Rescue Nepal. Rory completed the climb to raise much needed funds to build schools in off-the-beaten-track villages which have not yet recovered from the 2015 earthquake in Nepal. Throughout his expedition, Rory wrote a weekly blog article for the Irish Times, detailing the trials and tribulations of his climb. The blog posts provided readers nationwide with a glimpse into his extraordinary journey. To read Rory’s blog articles in the Irish Times, please visit the Profunder LinkedIn Page. LeBruin is a leading Corporate Finance and Debt Advisory firm based in Dublin, Ireland. With offices in Dublin and London, LeBruin has a track record in delivering for clients in the areas of Funding, Debt Management and Debt Restructuring. Independent and working only for its clients, LeBruin specialises in matching clients with new sources of traditional and non-traditional funding, delivering effective solutions in the form of senior debt and equity finance across a range of business sectors. LeBruin also works with a number of equity funds who have a keen appetite to invest in projects, enabling us to meet our clients’ financing needs. In total, LeBruin has raised over €10 billion in new debt and equity for its clients since inception. For more information, please visit www.lebruinprivate.com.